These underwater mammals are throwing a big bash down in the depths of the ocean! 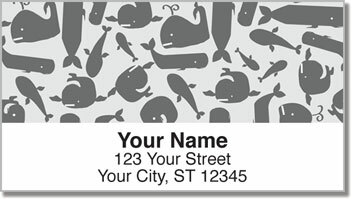 A collection of amusing cartoon whales mix and mingle on return address labels with unique character. 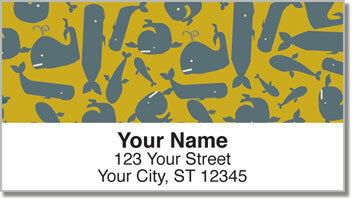 What's interesting is the fun-loving sea creatures featured here aren't too far from reality. Whales, much like dolphins, are playful creatures. Humpback whales sometimes dance with divers and Beluga whales can even play soccer. 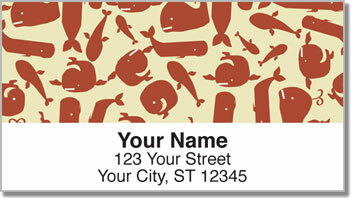 This design is a delightful way to top off your letters and packages with something different from the norm. Plus, it's also a convenient time-saver. Just stick one of your new self-adhesive labels on every envelope and forget about writing out your name and address by hand. 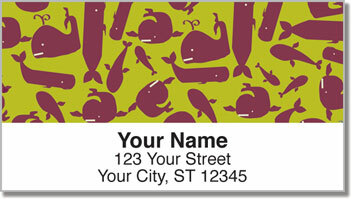 Get your very own Wacky Whale Address Labels today! Order them with a set of matching personal checks.